How are you doing? Are you enjoying the holidays? I hope so! What are you doing these days? 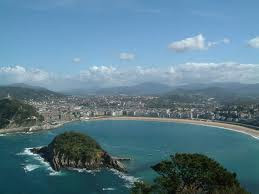 Are you visiting new places or are your staying in Donosti? And what about Easter traditions? Do you like processions? And Easter eggs? Easter eggs are specially decorated eggs that are given out to celebrate the Easter holiday. Apart from Easter, eggs are also used to welcome springtime and its flowers, which is something I love! Now, if you want to get more positive points, write a comment telling me about your plans for Easter and your opinions about Easter traditions such as egg painting. Write comments and enjoy these days!!! Hi garazi I am having great easter holidays, until wednesday i am satying in Donosti, some of cousins are coming to visit us so perfect. Minerva!!! I'm glad to hear from you!!! You're so lucky! I wish I could go to Malaga and enjoy the sun, but no, I'm staying in Sopelana. 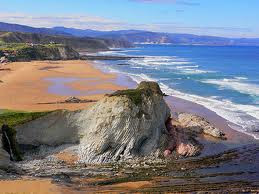 I hope you have a great time with your cousins in Donosti and with your mum and granny in Malaga! You will tell us when we all come back to school! If you can, bring the pics in a pen-drive so that we can see them on the smart board and you can tell us about your holiday! Hi Garazi! Today, it´s the last day of this holidays, so I´m going to tell you where I went. The first week, I went to my village, Legaria, it´s a little village near Lizarra and I stayed there to the following Tuesday, that I went to Palencia in "autocarabana" with my family. I went to Benalmádena, in Málaga the first week and the second I stayed in Mijas-Costa nearer to Marbella. The most interesting I've done there was that I've gone to the Hard Rock Café ^^ I saw a lot of things that I loved! !